We are a garage door company with extensively trained garage door contractors working for us. These contractors are the best in the field. They are all equipped with complete quality parts and advanced tools in every house visit for different garage door services to ensure that the job gets done in one visit. 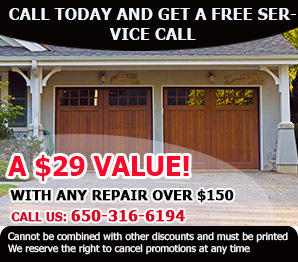 This garage door company is no other than the Garage Door Repair located in Belmont. We are experts in a wide range of garage door services and that is the reason why we are considered as the best in the whole area, give us a call today and we will show you why. All of us look for reasonable repair services if anything is broken at home. The same applies for garage doors. Let us install, repair and maintain your garage doors at affordable rates. We are here to provide you with excellent door services, from thorough maintenance services to fast emergency repairs – we are the company to trust. We have an excellent team of trained professionals who are committed to ensuring you are satisfied with your doors after they are done with them. So do not deny yourself this chance, and give us a call. A garage door has many components and parts that may need attention and our Garage Door Repair in Belmont can service all of them. 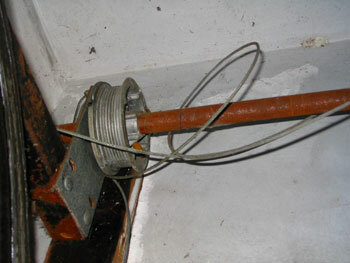 One example would be your garage door cables and tracks; they both have an important function to the garage door. These parts must be kept in great shape all of the time. If they stop working as they should, then your garage door will not open or close properly. If you start noticing these issues on the garage door cables and tracks, then you need to call our garage door company right away before these issues get out of hand. It is fact though, that no matter how much maintenance we put in, cables & tracks can still malfunction over time. Though they are durable and meant to last for a long period, each time the garage door is used, they can still get the normal wear and tear. One problem that can arise is if the garage door cable snaps or the cable gets broken. We have cables that you can purchase without the tracks so you can get the cables replaced right away to avoid track problems. Another problem that you may encounter is if the cable is loose, we can simply have the cables tightened and if the cables come off the drum, we can also have that repaired for you, all you have to do is to call our garage door company in Belmont. Other issues that you may encounter would be regarding the tracks. For issues like this, we can change or replace garage door tracks with no problem. You also do not have to worry about how to repair bent garage door tracks, you can put your mind at ease because our Garage Door Repair in Belmont sell tracks which can be used to replace, repair or install them professionally. Here at the Garage Door Repair in Belmont, we have garage door contractors that are professionals and highly trained to work with cables & tracks. They can ensure that your garage is at its top condition all the time for you. In addition to all these, our ever ready garage door company sends out all our contractors in fully loaded trucks, complete with all the equipments and tools that they may possibly need to ensure that the job gets done right and in one visit only. For us to show you why we are considered the best in the area, call us today.